Tag Archive | "deer season"
With the firearm deer season complete, the Michigan Department of Natural Resources has now identified a total of 30 free-ranging white-tailed deer that are confirmed or suspected to have chronic wasting disease. Several thousand additional samples are awaiting testing by Michigan State University, so numbers for this deer season could still change. Since May 2015 when the first CWD deer was found, the DNR has tested approximately 23,000 deer. Of those tested, 30 cases of CWD have been suspected or confirmed in deer from Clinton, Ingham, Kent and Montcalm counties. “CWD suspect” means that the deer tested positive on an initial screening test, but has not yet been confirmed through additional testing. It is very rare that a CWD suspect will not be confirmed as a CWD-positive animal, but it is possible. From 2015 to 2016, a total of four deer (in DeWitt, Eagle and Watertown townships) in Clinton County tested positive. So far in 2017, a single CWD suspect has been identified in Westphalia Township, also in Clinton County. In Ingham County, five deer from Meridian Township tested positive from 2015 to 2016; since then, no deer from Ingham County have tested positive for CWD. In Montcalm County, a total of 17 deer from the following townships are suspected or confirmed to be positive for CWD: Cato, Douglass, Fairplain, Maple Valley, Montcalm, Pine, Reynolds, Sidney and Winfield. In Kent County, three CWD-positive deer were found in Nelson and Spencer townships. This is the first year any CWD-suspect free-ranging deer were found in Montcalm or Kent counties. *Established a CWD Core and Management Zone where CWD has been detected. *Implemented deer feeding and baiting bans throughout entire CWD Core and Management Zones. *Intensified surveillance of free-ranging deer in CWD Management Zones, including mandatory check and testing of all hunter-harvested deer within Core CWD Areas. *Opened and staffed additional deer check stations to better accommodate hunters within Core CWD Areas. The DNR encourages hunters throughout the state to continue to hunt responsibly and submit their deer for CWD surveillance and testing. 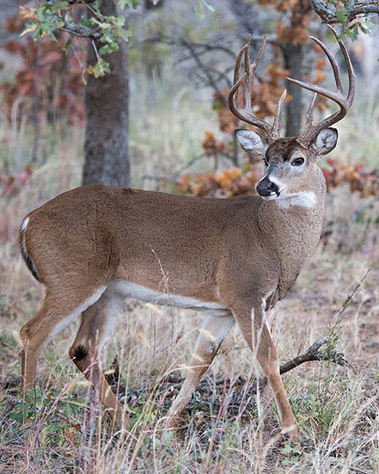 High rates of CWD in a deer population could significantly affect the number of deer, and also could significantly depress the potential for older age classes, especially the more mature bucks. Michigan welcomes approximately 600,000 deer hunters each year who, over the past decade, harvest an average of 340,000 deer. Overall, hunting generates more than $2.3 billion a year for Michigan’s economy, with approximately $1.9 billion of that stemming from deer hunting. “There’s no question that a healthy deer herd across the state is critical to Michigan’s economy and to a thriving hunting tradition that spans generations of friends and family,” Stewart said. The DNR strongly recommends that hunters who harvest deer in Clinton, Ingham, Kent and Montcalm counties have their deer tested by bringing them to a deer check station. Hunters who have submitted their deer heads for CWD testing should process their deer as needed, but wait for test results before consumption. To date, there have been no reported cases of CWD infection in humans. However, as a precaution, the U.S. Centers for Disease Control and the World Health Organization recommend that infected animals not be consumed as food by either humans or domestic animals. Chronic wasting disease is a fatal neurological disease that affects white-tailed deer, mule deer, elk and moose. It is caused by the transmission of infectious, self-multiplying proteins (prions) contained in saliva and other body fluids of infected animals. Susceptible animals can acquire CWD by direct exposure to these fluids, from environments contaminated with these fluids, or from the carcass of a diseased animal. Some CWD-infected animals will display abnormal behaviors, progressive weight loss and physical debilitation; however, deer can be infected for many years without showing internal or external symptoms. There is no cure for a deer once it is infected with CWD. To learn more about CWD, and the current known distribution of CWD in Michigan, visit michigan.gov/cwd. Results are updated weekly. The Department of Natural Resources reminds hunters that the 2015 muzzleloader deer season opened across the state on Friday, Dec. 4. Zones 1 and 2 will remain open to muzzleloading until Dec. 13. 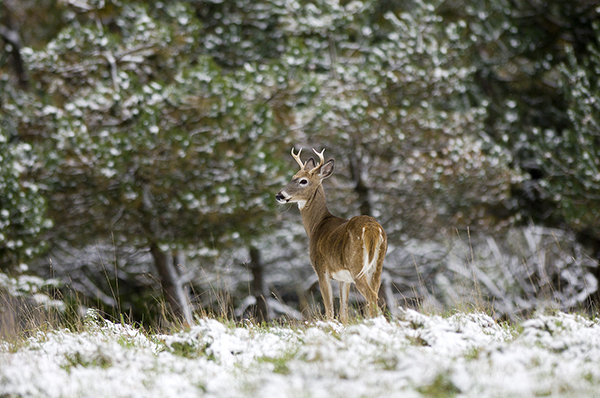 Zone 3 is open to muzzleloader deer hunting until Dec. 20. Hunters are reminded that archery deer season also is open statewide during this time. Archery season started Dec. 1 and runs through Jan. 1, 2016. Hunters should be aware of any applicable antler point restrictions in the areas where they are hunting. Check the antler point restriction map and chart on pages 32 and 33 of the 2015 Hunting and Trapping Digest for details. In the Upper Peninsula, only deer hunters with a certified disability may use a crossbow or a modified bow during the late archery and muzzleloader season. This restriction applies to the Upper Peninsula only. All deer hunters are required to wear hunter orange when participating in the muzzleloader season. The hunter orange requirement does not apply to those participating in the archery season. 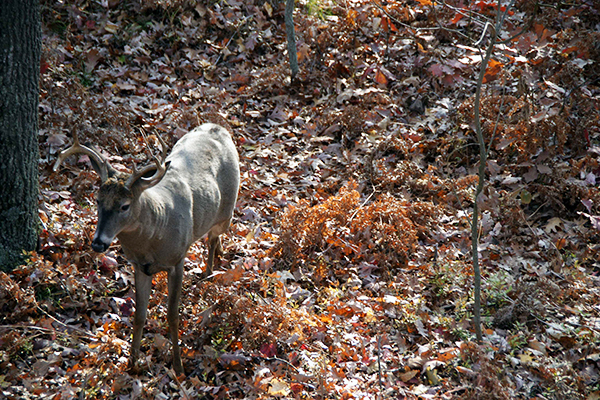 For more information about deer hunting in Michigan, visit mi.gov/deer. The 2015 Michigan deer season is the first being conducted following a finding of chronic wasting disease in a free-ranging deer in Michigan. The disease was first detected in an Ingham County white-tailed deer this past spring. Wildlife officials are optimistic, however, that CWD can be eliminated in Michigan and are asking for hunters’ assistance. So far, public response has been “overwhelmingly positive,” said Chad Stewart, the Department of Natural Resources deer and elk specialist. DNR summer interns Anthony Klein and Kurt Wolf collect deer carcasses along I-69 and U.S. 127 in Dewitt Township, Clinton County. In April, Meridian Township police dispatched a 6-year-old female deer that was exhibiting signs of neurologicaldisease. 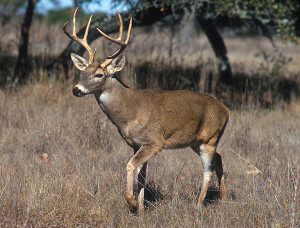 An initial screening at the Department of Natural Resources Wildlife Disease Laboratory identified the deer as a CWD suspect. Soon, the National Veterinary Laboratory in Ames, Iowa, confirmed the DNR’s suspicion: Michigan became the latest state to have found CWD in its free-ranging deer herd. CWD is a type of transmissible spongiform encephalopathy (TSE). The disease is an always fatal affliction for cervids—deer, elk and moose—that attacks the brain, causing lesions, which leads to emaciation, loss of fear of humans, loss of body control, drooling and, ultimately, death. It is not caused by bacteria or virus but by prions, which are mutated proteins. It is spread by animal-to-animal contact with saliva, urine, feces, blood or infected soil. There is no treatment for CWD in deer. The ailment has never been shown to cause illness in humans. For more than two decades, CWD has been present in free-ranging populations of mule deer and elk in Colorado. During this time, there has been no known occurrence of a human contracting any disease from eating CWD-infected meat. Because of the occurrence of CWD in other states, the Michigan DNR has been vigilant about testing for the disease. Since 1998, tens of thousands of free-ranging deer have been tested in the state. The Meridian Township deer marked the second time CWD was identified in Michigan. In 2008, a single deer was found to be CWD-positive in a captive cervid facility in Kent County. With the most recent finding, the DNR immediately instituted a policy that called for reducing deer numbers in the area of the infected deer and testing all deer—those taken by federal animal damage control officials as well as road kills—from the area for CWD. In July, a 2-year-old buck found less than a mile from the initial CWD-positive female tested positive. In August, a 5-year-old CWD-positive female was found in close proximity to the other two. Genetic testing showed all three positives were related. Finding deer with CWD within the same extended family is not uncommon. Wildlife officials are encouraged that so few additional CWD-infected animals have been found and that those found were closely related. Last week, a suspect positive deer was found in DeWitt Township, which is still pending final testing. Prior to deer season, the DNR established a CWD Management Zone consisting of Ingham, Clinton and Shiawassee counties, as well as a nine-township Core CWD Area (also known as Deer Management Unit 333). The nine townships—Lansing, Meridian, Williamstown, Delhi, Alaiedon and Wheatfield in Ingham County; DeWitt and Bath in Clinton County; and Woodhull in Shiawassee County—have stringent regulations relating to possession of deer. It is illegal to salvage a deer killed by a motor vehicle, and no rehabilitation of deer will be allowed within DMU 333. Hunters who shoot deer in the core area are required to bring the entire carcass to one of three DNR check stations within 72 hours. The DNR will retain the head for testing; if it’s a trophy-caliber animal, the DNR will work with the hunter to make sure the trophy is not marred but the necessary tissue is made available for testing. Once the deer has been checked, it may be processed. All leftover parts should be disposed of in the garbage, a landfill, or the dumpster provided by the DNR at check stations. Negative test results will be posted online at www.michigan.gov/dnrlab within a week after the head has been submitted for testing. Hunters with deer that test positive will be notified by telephone. And although human health effects have not been documented for people eating CWD-infected deer, the DNR recommends that only healthy animals be consumed. Hunters are reminded that there is no baiting or feeding of deer allowed in the three-county CWD Management Zone. Nose-to-nose contact of deer can spread the disease. Hunters who travel out of state to hunt deer, elk or moose are reminded that there are restrictions on bringing carcasses back from states or provinces where CWD has been found. Only deboned meat, antlers, hides and skullcaps that have been cleaned of all brain or muscle material may be brought into Michigan. Any hunter who has been notified by out-of-state authorities that a deer, elk or moose they brought into Michigan tested positive for CWD must contact the DNR’s Wildlife Disease Lab within two business days and provide details. The DNR can dispose of any meat from a CWD-infected animal. 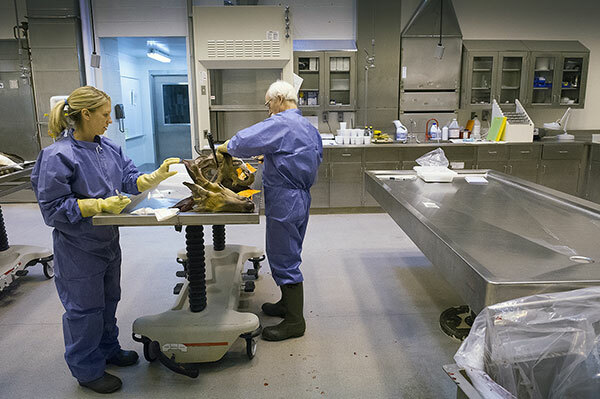 Extensive testing of deer from the CWD-infected area is ongoing. As of Nov. 13, of the 1,403 deer tested in DMU 333—and another 337 in the three-county area—only three have been determined to have chronic wasting disease, with a fourth suspect positive waiting final testing. All 141 tested from other counties have been negative. Hunters who harvest deer outside DMU 333 and are concerned about CWD may submit their deer for testing at any DNR check station. (A list of check stations is available at www.michigan.gov/deer). For more information on CWD in Michigan, visit www.michigan.gov/cwd. With Michigan’s deer season swinging into high gear, it won’t be long before many hunters are bringing their harvested deer into the local butcher shop to have the venison processed and prepared for the freezer. And thanks to the generosity of those same hunters, thousands of pounds of that venison will end up not in their home freezers, but at local food banks and soup kitchens to feed the state’s needy and hungry citizens. The donated venison is made possible through the Michigan Sportsmen Against Hunger program, a collaboration between the Department of Natural Resources and a number of conservation groups, designed to help hunters share their bounty with the less fortunate. Participants can donate an entire deer, a certain number of pounds of venison, or can simply make a monetary donation to support the program. Since 1991, Sportsmen Against Hunger has helped connect wild game processors with hunters by providing a list of the processors that participate in the program. Hunters can simply drop off their deer at one of the facilities and the program will reimburse the processors $1 per pound for the venison that goes into the program. Barb Haveman, who runs Barb’s Meat Processing in Comstock Park, said she’s already processed five deer for the program this year and predicts it will pick up with firearm deer season. Haveman said she usually charges $75 to $80 to process a deer. At the reimbursement rate of $1 a pound, she barely meets her expenses, let alone makes a profit, when she processes a deer for Sportsmen against Hunger. Hunters who don’t have an entire deer to donate can participate in the program by donating a pound of their ground venison when their deer is processed. Some meat processors only participate in the Give-A-Pound option rather than processing entire deer, to hunters should check http://www.sportsmenagainsthunger.org for a list of participating locations and what services they offer before bringing their deer in. Hall said there are a handful of areas in the state where participation numbers are higher than others – the Thumb, southern central Michigan, Kent County and Macomb County all particularly stand out. There is a fear, Hall said, that because of the reduction of available antlerless deer licenses available in a number of areas this year, that there may be fewer deer donated this season. To make up for the potential deficit, Hall said his group is making an extra effort to reach out to landowners who have Deer Management Assistance Permits, asking them to remember the hungry this season when they fill their permits. “Keep in mind two things,” Hall said. “The donation of deer is very important to feed the hungry. It’s staggering how many people are working but remain below the poverty level and who have to depend on food assistance. An administrative change in the DNR’s license sales system has made donating at the point-of-sale easier this year, Rustem said. Current records show that sportsmen have responded well to the change. For more information on the Sportsmen against Hunger program, visit www.sportsmenagainsthunger.org. It’s deer season, which means they will be on the move more than ever. There were over 49,000 car deer accidents in Michigan last year. Here are some tips to help you avoid a crash. The two most important ways to avoid a deer-vehicle collision are: slow down and SLOW DOWN. If you are driving through an area known for high deer populations, slow down and observe the speed limit. The more conservative you are with your speed, the more time you will have to brake if an animal darts into your path. Always wear a seatbelt. The most severe injuries in deer-vehicle collisions usually result from failure to use a seatbelt. Pay close attention to caution signs indicating deer. These signs are specifically placed in high traffic areas, where road crossings are frequent. The perfectly quiet morning silence was broken by the slightest splash from behind. Slowly a small group of deer was entering the swamp from the oak forest. As the deer filed by each decided to cross the creek in front of me and then cross the creek a few yards down stream. The last deer in the group wore headgear. Pulling back the PSE bow and placing the Nikon red dot on the chest cavity the arrow was released. The Muzzy broad head did the trick and the buck was down within 50 yards. Talk to the folks that get a deer each year or close to it and a number of items pop up that spells success. The majority of the work is done prior to the actual hunt. To me the work is fun. 1) Scouting should be fun and an easy way is by the seat of your pants. My daughter and I take rides around the general areas that I plan to hunt. Carrying a camera captures many great photos. As a bonus I often find new turkey locations as well. 2) Hunters need to tune up their bows, sight in their rifles and practice well before the opener. Get the bow tuned and shoot a few arrows through a paper test before the opener. Shoot a dozen shots through the rifle to get reacquainted with the gun. Archery hunters should practice each day or every other day. Shooting 1-3 dozen arrows each time pays huge dividends. I shoot my broad heads when practicing. 3) Equipment needs vary for each hunter. I experiment during the summer with new products and found a few items that I would not hunt without again. A long rope to pull up your weapon. A high quality safety harness and a lightweight portable rain gear are a must. 4) Locating a hot location is key. Don’t hunt memories or locations that have worn down trails with no fresh tracks. Some runs will look worn down years after any use. Locating that special spot takes a bit if work. Tie thread across any runway that shows promise. Keep it two feet above the ground. Often when a deer breaks the thread the ends point in the direction that the deer are traveling. After tying thread over a dozen potential runs and verifying which runs have had the thread broken, it’s time for the orange survey ribbon. Follow each runway 100-300 yards marking the run on occasion. Hang the ribbon up high for easy visibility. Wherever two runs cross mark with a few extra pieces of ribbon. You will be amazed at how often two hot looking runs either merge or end up fairly close to each other. 5) Crop fields are always a prime area to spot deer. They can be hard to hunt because of the openness and various entry points. Often the hunting is better when staying away from the field edges by 50-100 yards. Fence rolls and drainage ditches are prime traveling routes. A key location will be where they meet the main woods. This is especially true in the farm belt areas where cover is sparse. 6) Hunt the corners of the small woodlots for best action. I try to sit 5-10 yards from the field edges when hunting small woodlots. This gives you a chance to shoot at two edges of the field and still get a good shot behind you. 7) Hunt the oaks when the acorns drop. This was perhaps my number one mistake over the years. I hunt swamps and left the oaks alone. Now I hunt the swamps and bedding areas early in the season but keep a constant watch for the trees dropping the most acorns. If you don’t have oaks then hunt the prevailing food source that is at its’ peak. 8) Hunters need multiple stands to cover wind direction, hunter pressure and to keep the stands fresh. We set numerous stands and have one ready to back pack in. 9) An additional tip that I use is setting up with the sun at your back when possible. Whenever possible I try to set my stand so that a traveling deer will have the sun in their eyes. This might mean that a good run will be hunted where it makes a bend or travels around some obstacle. Better the deer with the sun in their eyes than the hunter squinting while attempting a shot. 10) Prescription sunglasses really help me out. I use the yellow tinted color lenses because they gather the most light under low light conditions. 11) I love pine and cedar trees. These are the easiest trees to hide in and offer a great place to hang a daypack. An oak tree with multiple limbs is the next best bet. Use the natural cover to help conceal your location regardless if you hunt from a tree or from the ground. 12) I hunt the ground 100% with a gun and maybe 20% with a bow. A thick group of pines or cedars works great. Sit in the thick stuff maybe 3-5 feet and prune out a few shooting windows. Thick cattails also work well and are used with great success. The sound of sucking muck or water will tip you off that a deer is close. 13) This brings up the next location to concentrate on. Hunt bottleneck areas. Hunt areas where the terrain forces the deer to pass through a narrow spot. A river or a creek often can be used as a funnel. Two ponds or a pond and a stream within 100-200 yards of each other are one of my favorites. Fences can be great. Walking slowly along a fence will often show an area where the deer prefer to cross. Hair on the fence or a section where the fence is bent down is a sure give a way. 14) Hunters need good cover and attraction scent. If you don’t stink the deer are less apt to smell you. I use one of the scent eliminator spray products and a mixture of vanilla and water. I spray every thing before heading into the woods and at least once during the hunt. Cover scent is critical and is practiced by a number of hunters. Carry it one step further than the rest. Keep your cloths in a plastic bag. I throw in fresh leaves each time out as well. Spray your cloths, hats and gloves and then your heads, boots and hands. 15) Wear rubber knee high boots and keeps a change of cloths in your vehicle. I repeat, never go into a restaurant or store with your hunting cloths on. Scent control also includes clothing. Scent gathering suits can easily be the last link for total coverage. 16) Mock scrapes can work and the best scrapes are started before the season starts. Like anything it takes some planning and not every spot will produce. Locate a good runway near a bedding area and make up a scrape. Add some of your favorite scent and check back in a week. Make sure that you have a licking branch above your scrape. Tinks and Buck Fever are my two favorites. 17) Use a deer call. I like a deer call that makes fawn bleats, doe grunts and rutting grunts. Hunters Specialties carries the True Talker that is hands free. This is critical for the bow hunter. Blow on the small mouthpiece and stop the deer dead in it’s tracks without using your hands or getting the call in the way of the shot. 18) During the rut hunt the does. The bucks will find the does and this is the easiest way to a shot. Once again locating a bedding or feeding area that the does are using is the prime area to hunt. 19) If you located a bedding area then hunt there during the mid-day hours. This is especially true during the gun season. Without a doubt my hunting party has shot more bucks between 10:00 am and 3:00 p.m. than any other time. 20) Use other hunters to your advantage. 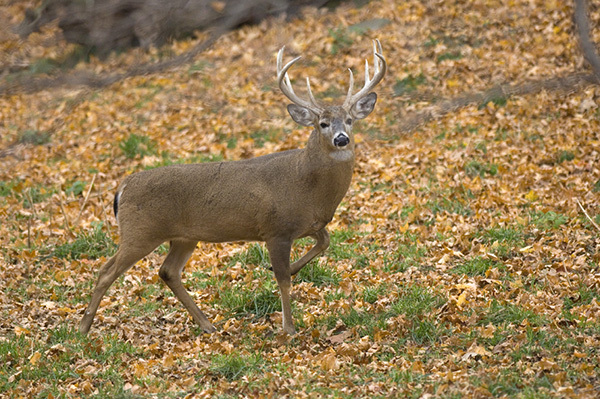 Identify where hunters will enter the woods and use their movement to help push deer to you. When scouting I carry along some papers and make a rough map. Mark down the runway locations, the two tracks and any blinds or stands that you run across. Part of my success comes from knowing where other hunters will be and how they will enter the woods. 21) Be in the woods when the weather changes. If it rained hard all morning and now is letting up, hustle to your favorites feeding location. High winds and heavy rains will change the patterns of the deer. The same applies just before a big storm blows in. Deer can sense when a storm is coming and if they will be down for a few days. Just prior, regardless of the time they will be feeding. Most of our bucks shot after opening day have fallen during this type of condition. Following the twenty-one tips and paying close attention to small details will dramatically increase your deer sightings. Archery or gun, staying focused will pay dividends. All it takes is one well-placed shot to enjoy some fresh tenderloin in mushroom gravy this season. Hunters will have a little more territory to hunt for antlerless deer this fall as the Natural Resources Commission (NRC) opened a few more deer management units (DMUs) in the Upper Peninsula and Northern Lower Peninsula at its regular monthly meeting Thursday in Lansing. Newly opened DMUs reflect increased deer populations in those areas, explained Department of Natural Resources (DNR) deer and elk program leader Brent Rudolph. The DNR will seek low quotas for the newly opened DMUs, Rudolph said. A total of 72 DMUs will be open to antlerless deer hunting on public land, and 86 DMUs, plus the two multi-county DMUs in the Lower Peninsula (DMUs 486 and 487), will be open on private land. A complete list of open DMUs and their quotas will be published shortly in the 2012 Antlerless Deer Hunting Digest. Antlerless deer license applications go on sale July 15 at all license agents and online at www.michigan.gov/huntdrawings. In addition, the NRC voted to restrict hunters in DMUs 486 and 487 to a maximum of 10 private land antlerless licenses this season, a decrease from five per day in 2011. Special statewide hunts for youth and 100 percent disabled veterans will be held Sept. 22-23. The early antlerless season on private land in portions of the Lower Peninsula is being reduced from five days to two, also Sept. 22-23. In addition, the NRC changed conditions on special crop-damage permits in accordance with recent legislation. 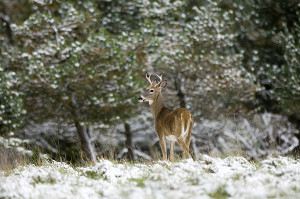 Public Act 65 of 2012 allows up to 15 authorized shooters on Deer Damage Shooting Permits. In the past, special authorization was required to allow more than three shooters to be designated per permit. In other action, the NRC reaffirmed that naturally shed deer and elk antlers may be legally collected, possessed and sold. Upper Peninsula: Hunter numbers across the region appear the same or lower than during the early days of the 2010 firearm season. Most hunters are reporting seeing more deer than last year, and that deer are in good condition. The excellent conditions of deer at check stations supports hunter observations. Initially slow activity at check stations picked up near the end of last week to now include similar or increased numbers of deer checked compared to last year. Northern Lower Peninsula: Hunting activity last week was reported as fairly light compared to previous years. The northeast portion of the region noted an increase in number of deer checked, but the western and southern portions have noted similar to fewer deer brought in compared to last year. Early reports on weekend check station activity suggest check station and harvest numbers may now have caught up to or exceeded numbers from last year. Deer condition has been described as very good with several exceptional bucks observed at a number of check stations around the region. Southern Michigan: About 71 percent of corn was picked by opening day, which matches the five-year average but was less than last year, when 97 percent was picked. Hunting activity varied somewhat around the region, but appeared the same or lower than last year; shots heard were consistently lower than last year throughout the region over the first few days of the season. Fewer deer have been checked compared to last year, but deer are in good condition. Some check stations noted an increase in 3-½ and even 4-½ year-old bucks compared to recent years. Each year, DNR Wildlife Division staff working at check stations around the state submit their impressions and a summary of comments provided by hunters from the first few days of the firearm season. These impressions provide an early view of how the firearm season is faring. Deer populations in both northern regions have come through two relatively mild winters in a row, on the heels of two relatively severe winters of 2007 and 2008. Deer numbers appear to be recovering, but more notable is the good to excellent condition being observed by hunters and confirmed by data collected at check stations. License sales through opening day were about 2.5 percent lower than in 2010, which supports the observations of generally lighter hunting pressure in most areas of the state. Firearm deer season continues through Nov. 30, with archery season resuming Dec. 1. For more information about deer hunting opportunities in Michigan, go online to www.michigan.gov/deer. Updated field observations and check station summaries will be posted on the collaborative DNR Wildlife Division and Michigan State University Department of Fisheries and Wildlife website at www.deer.fw.msu.edu.